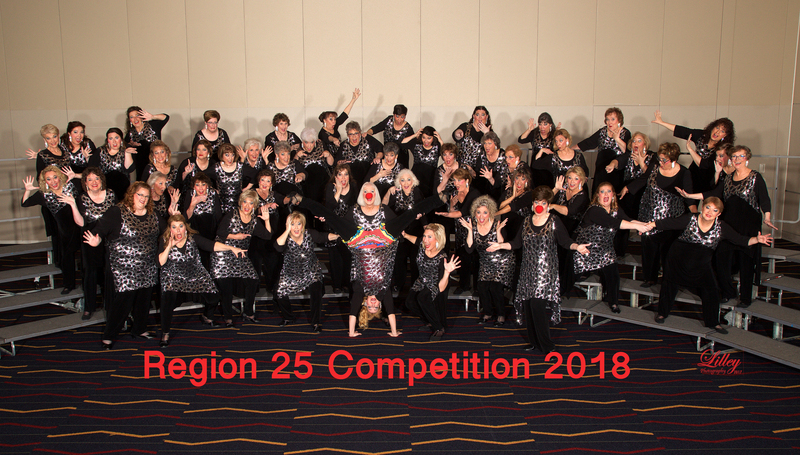 A five-time Regional Championship chorus, Top of the Rock, is a fun-loving group of talented women who love to sing a cappella music in the barbershop style, perform and grow as singers and musical leaders. 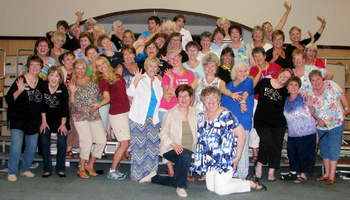 We are a chapter of Sweet Adelines International and a member of Region 25, which is comprised of choruses in North Texas, Oklahoma, Tennessee, Kansas, Missouri and Arkansas. Top of the Rock currently has more than 50 singers of all ages who live throughout the greater Little Rock area. Are you curious to learn more about barbershop music? All our rehearsals are open to the public and to potential new members, so why not pay us a visit? 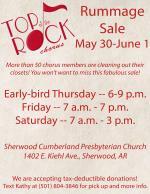 We rehearse every Tuesday evening at 7 p.m. at Cumberland Presbyterian Church, 1402 E. Kiehl Avenue, Sherwood, AR. See ya on the risers! Want Top of the Rock Chorus to sing at your next function? Why not hire Top of the Rock Chorus to entertain at your next event? We can perform at corporate functions, charity events, community entertainment events, birthday parties, Christmas parties, awards nights, weddings, engagements, anniversaries, engagements and even funerals and memorial services.